And speaking of culinary activism, our team at INMED South Africa regularly conducts healthy eating workshops and cooking demonstrations to promote nutrition and healthy lifestyles in disadvantaged communities as part of our Health in Action partnership with Mondelēz International Foundation. 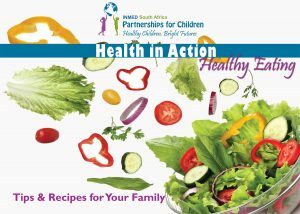 Download a FREE copy of our Healthy Eating booklet at https://inmed.org/where-we-work/south-africa/. We promise none of the recipes require insects.